Known for the energy and enthusiasm she brings to every project, Sherri Balassone is a longtime New Yorker who has a one-of-a-kind professional perspective that combines her distinguished background in law with a decade of high-end sales experience. Her comprehensive understanding of the Manhattan real estate market, alongside an ability to communicate the finite details of sales and leasing transactions, ensures Sherri’s clients receive the highest level of service throughout every step of the process. Sherri's attention to detail has made her one of the top brokers in the art of preparing board packages and getting her clients board approval. As an attorney and notary public licensed by the New York State Bar Association, Sherri offers an unparalleled knowledge of New York State law and a unique understanding of the intricacies of local real estate transactions. Sherri’s range of experiences—which also includes an extensive background as a commercial sales executive—provides her with the insight and knowledge set necessary to offer in-depth advice and negotiation, ensuring every client she works with has the opportunity to secure the best possible outcome. “I approach every project with the attention to detail and thoroughness necessary to get the job done,” says Sherri. “My mission is to make sure each and every one of my clients receives the full attention they deserve in a timely manner.” Sherri has closed deals in almost every neighborhood in Manhattan and takes pride in her wide-ranging knowledge of the New York City real estate landscape, which gives her the ability to offer clients an accurate overview as well as specific insight about properties of interest to them. 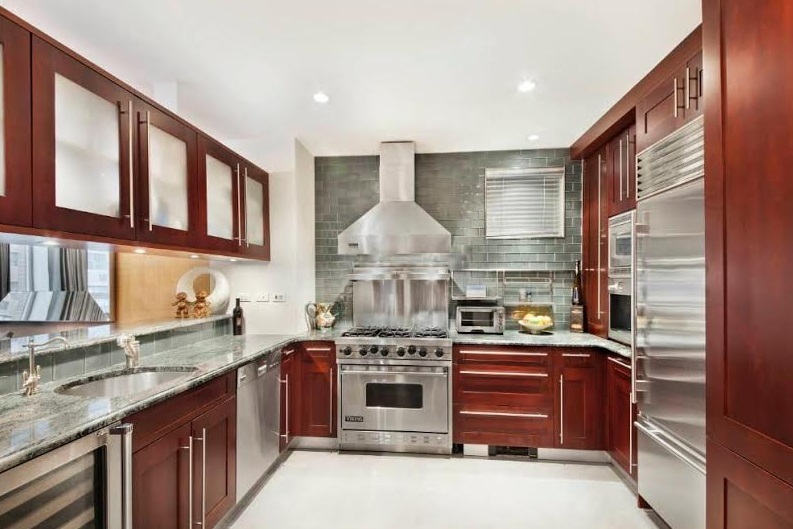 She is especially knowledgeable combining units to create a large home, as well as relocation. She has assisted people from the UK, Ireland, Egypt, Italy, Asia, and of course here in the US. Sherri is a graduate of Assumption College in Worcester, Massachusetts with a Bachelor of Arts focused on business communications. She also earned a Juris Doctor degree with honors from Pace University. Sherri continues to be licensed by the state of NY as an attorney, even though she is not currently practicing. Analyze, Negotiate and Communicate. I have the ability to see both sides of an issue and anticipate how a particular scenario may play out. It allows me to prepare for objections and negotiations before they occur in real time. Plan A, B and C are ready for activation at a moment’s notice. In order for this knowledge to be useful, it has to be communicated. Once the intended strategies are organized, I then explain all possibilities to my clients and colleagues in order to properly prepare them and set reasonable expectations for one or more outcomes. Setting reasonable and attainable expectations is key to making a deal close as smoothly as possible. Each step of this process is pivotal in creating an environment of trust and future working relationships. o How did I come to this? I’d love to say that it was a well derived plan but, honestly it was an unexpected journey. I’ve come to realize that sometimes the universe knows better than we do and if you are willing to be pliable and use your skills out of the box, you will end up in a better position than the one you rigorously planned for. This is exactly how I became a real estate broker.  This answer may be a bit off the beaten path, but I believe essential in explaining how I got to what I “do best”. I spent the first 8 years of my career in biotech sales, where I was constantly on the spot to back up my statements and arguments with real knowledge and factual evidence. I was determined to break the antiquated stereotype that account managers in that industry are just pretty faces, so I prepared as though I were a doctor in training. One head of Pain Management at a prestigious Manhattan hospital allowed me to do an internship and at the end, said that if I went to medical school he would accept me as a resident. Well… science and math were not my strong suits… talking was, is and always will be, so I trucked on. Shortly after, I was called to Jury Duty in Manhattan (NY County) Criminal Courts. I was chosen as jury foreperson for a 7 week attempted murder trial and fell in love. I began law school about 2 years later and thus the rebirth of my career. I trained as a criminal litigator for 3 years and that was where I truly advanced my negotiation and analytical skills, once again relying on factual knowledge to back up my arguments. Law school was a breeding ground for those who live for details, organization and communication…Let’s just say I was finally home. I thought I had figured out where I belonged in this world until I graduated from Law School during the worst recession since the Great Depression of the 1920s. Getting a job as an attorney, even after graduating with honors, proved to be a quite a feat. I stayed on with the attorney I was working with during law school as per diem attorney once admitted to the bar, all the while working a full time job back in sales. A longtime friend in the real estate industry offered me some great advice… and a job. An attorney in NY State can easily acquire a real estate broker license, and he thought I would be great based on my past sales litigation experience. Three years later, here I sit in the most fulfilling and exciting job I could never have imagined for myself and looking forward to expanding my knowledge and client base every year. All of the past stops and starts have given me the requisite education, practice and experience which has led to me be the well – rounded broker I am today. I like to think it’s not any one particular attribute, but a set of such that together combine to create a personal, unique manner of doing business. The set includes all of the following, of which none exist without the others: Knowledge, Preparedness, Logical / Analytical Skills, Communication and removal of personal emotions whenever appropriate.  These skills are self-explanatory on their face so I won’t insult your intelligence or bore you with definitions worthy of “Webster’s”. Instead I’ll let you in on personal commentary between my business partner and I that explains how these attributes work together in my world. Whenever our clients have a momentous decision to make or a matter gets particularly complex, she asks me to “turn on the attorney” or find my “bad cop”. She often jokes about my more serious nature when someone is driving a hard deal, in juxtaposition to her more casual, humorous approach. While giggling about it, she also admits, she prefers having the option to call on the “bad cop” when the going gets tough. Once again I’m back to fact gathering, and presenting evidence, almost like I would in a courtroom, but in order to broker a real estate deal instead of persuade a jury. Using the materials I have already researched and analyzed, I have a way of explaining things from top to bottom in an even tone, laying out all the possibilities and what outcome each choice would lead to. It is essential for a client to completely understand the options and be comfortable with the advice you are giving them so that they can make the best decision possible in a timely manner. Sometimes this turns out to be the easy part…  In addition to the logistics and communication, you have to take into account an emotional component. In real estate you work with people during the most exciting and most challenging times of their lives. Buying, selling or leasing a home is usually the effect of a major life change, welcomed or uninvited, which without a doubt brings on a barrage of emotions. I have learned through my time in criminal law that removing your own human emotions and personal opinions, while difficult, is a great neutralizer for all parties. This component is certainly the most challenging of all in the set. We are caring people and often cultivate long relationships with our clients, meet their families and attend their life events. However, we are doing them a disservice in the business realm if we allow that to cloud judgement related to what they have hired us to do. I was raised in a modest environment where I was taught the value of a dollar and budging your money for the future. While our big city is glamorous and glorious I was reminded of my beginnings during law school, where I struggled with a full class schedule, working part time jobs and internships. I will become the best by staying true to who I am and most importantly who I was when I first began in the real estate industry. I was humble, professional, honest, eager, and not jaded by the challenges of this whirlwind industry. I will give every client, broker, colleague and attorney I work with the same attention to detail, quick response, factual based knowledge, honesty and respect they deserve. I will continue to work on my skill set discussed above, especially when it comes to being an emotional chameleon. First and foremost, I will be gracious when someone has offered me or even attempted to offer me some morsel of value or caring. Personal: I strive to be an open, positive person to which others are drawn to. I hope to have a well-balanced life between my career and family/personal life. I spent a little longer than originally planned on finding my place in the professional world, but now that I am here, I look forward to doing the same in my personal life. I will do my best to keep my friends and family healthy and be of service to those around me. 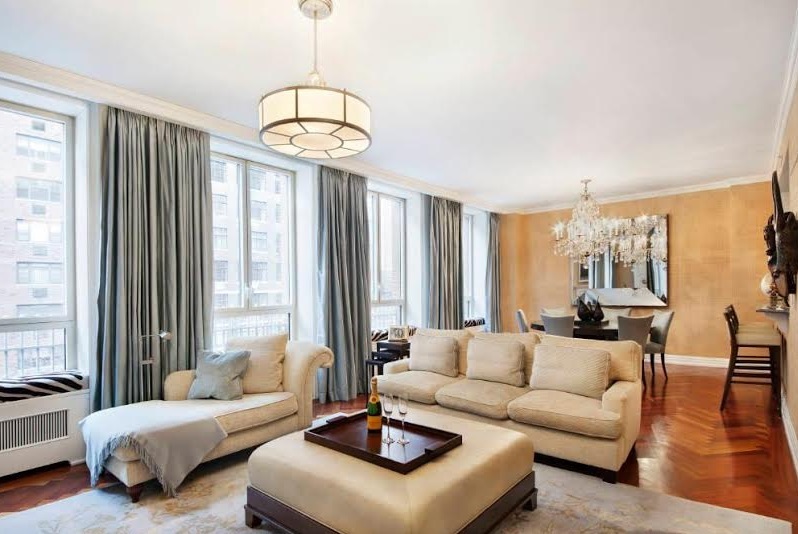 Business: I aspire to become one of the top Residential Brokers in Manhattan. I strive to do so in such a way that is most professional, respectable and honorable. I hope to someday mentor and teach others who are as eager as I was when I began. (Anyone who knows me knows I have never shied away from a stage) I will offer the best in class service to all who come across my path so that my business will continue to grow and relationships will be cultivated year after year. I hope one day 100% of my business is derived solely from referrals … and just maybe someday I will own my own firm. I like to try to figure out what makes people tick. The mosaic of different cultures within this city alone is absolutely fascinating - the hundreds of different languages that are spoken, the many different religions and the ever constant battle of nature and nurture. What fascinates me most is not one particular person, but how people’s minds work…. Why do they do the things they do? What is their motivation? What leads them to make the choices they make? The Ocean – my father was in the navy for many years and he used to say that you have to be careful when you are by or in the ocean because it is such a powerful force. You think you have everything under control but it can overtake you in a moment’s notice and show you who’s boss. To me the ocean is an amazing and often beautiful place that can creates cleansing and healing. It changes its mood often and can change yours too. It has the power to relax and calm me in a way nothing else in the world can. Fashion (clothing and accessories) in general, it is a psychology… I love how people dress the way they feel, especially in New York. You can tell so much about someone by what they are wearing. I spent 25 years as a dancer, so anything to do with the theater, performance or music is always appealing and uplifting to me. (Hence the reason I never shy away from a stage). I also really enjoy interior design, as well as cooking and wine tasting.